Between leaks and pre-show announcements, the run up to E3 this year is starting to feel like a real fight for center stage. PlayStation is the latest brand trying to raise the hype before its presentation by revealing that it’s going to be making daily announcements in the run up to its June 11 showcase. 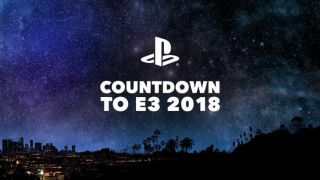 Starting on Wednesday June 6 at 8am PT/ 4pm BST Sony will be making its announcements from live.playstation.com as well as its official Twitch, YouTube, and Facebook channels. There will be five announcements in total, with the first day bringing a PS4 game with PSVR support; followed by a release date reveal for an upcoming Worldwide Studios title; a brand new PS4 game announcement; a new PSVR announcement; and, finally, details on an eagerly anticipated game that’s being ported to PSVR. This seems to be part of Sony’s refreshed and more focused approach to its press conference at the show, which will see it really focus in on four of its big exclusives: Death Stranding, The Last of Us 2, Spider-Man and Ghost of Tsushima. Where in previous years these announcements might have been tacked onto the end of a show, or used for a bit of padding in the middle, it seems that Sony is trying to spread things out to give everything the attention it deserves. This certainly bodes well for the amount that PlayStation will have to tell us when its big showcase rolls around.